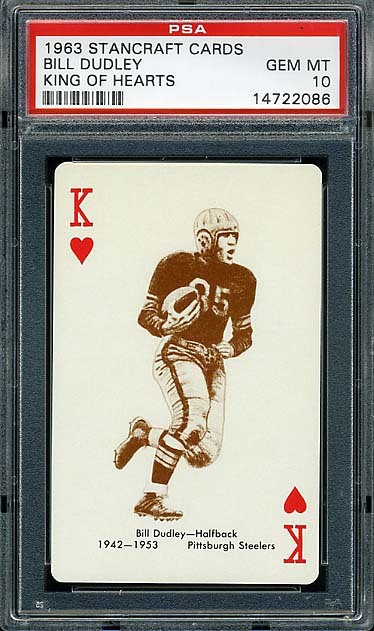 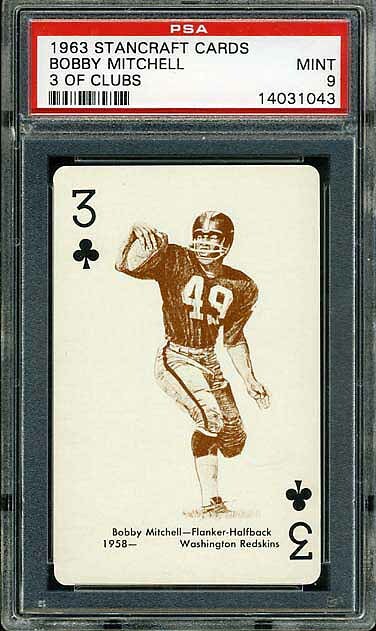 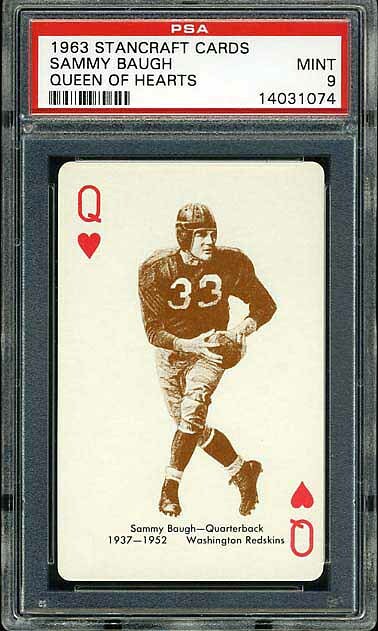 In 1963 Stancraft issued a deck of playing cards consisting of NFL greats. 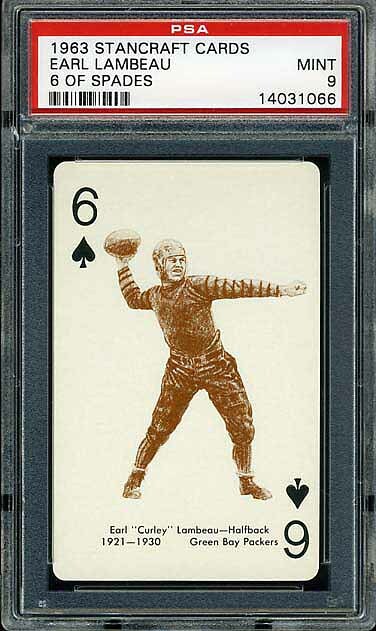 The four Redskins football cards in the deck are shown below. 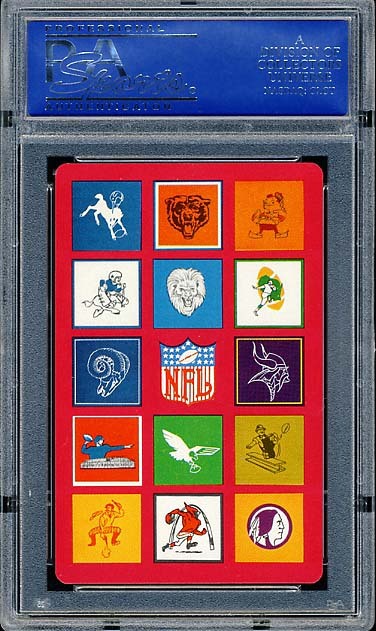 The deck was issued with two different back variations: orange and green. 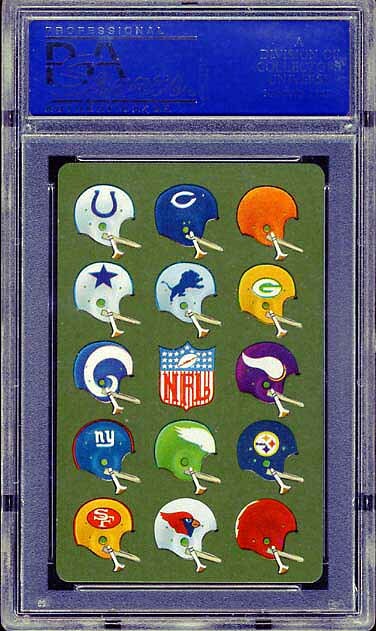 Both back variations are shown.